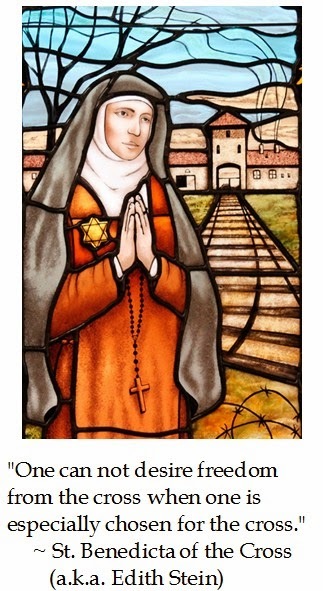 At the end of an eight day silent retreat, a women asked me how I felt about chapel veils. 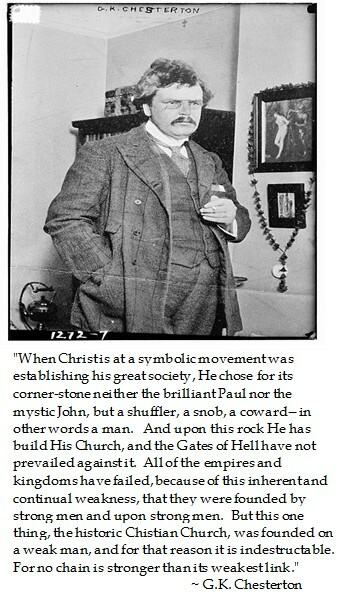 As a man who had been totally raised in a post Vatican II church, the idea had never really crossed my mind. I wondered if the questioner was trying to reconcile my secular conservatism with fervent faith and presumed that my worship instincts would automatically tilt towards the tradition. I answered that my parish in Georgetown was so Vatican II that mantillas at mass were (almost) inconceivable. While wearing a church veil many no longer be mandatory for mass some women have chosen to veil themselves. A sophomore at Christendom College in Front Royal, Virginia shared a thoughtful video apologetic with Fr. 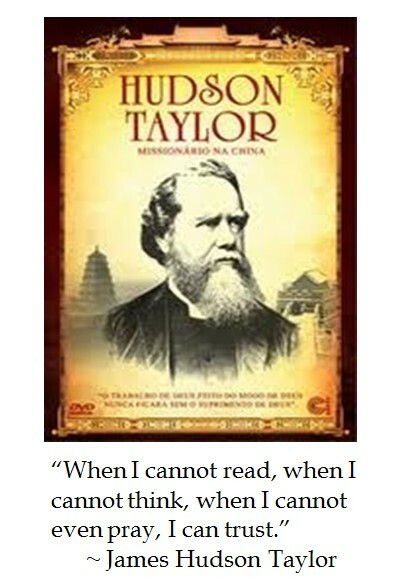 John Zuhlsdorf of “What the Prayer Really Say” on why she has felt called by the Lord to wear a chapel veil. It should be noted that a couple of the women interviewing in the video were influenced by close contact with Orthodox Jewish communities. I was impressed how these women appreciated the chapel veil as putting them into a mindset of reverence for the Blessed Sacrament. One of the women equated her veil as being in a tent with God. The choice of these women was not driven by thoughtless tradition or being holier then thou but a real reverence drawing them closer to God. My discomfort with the chapel veil stems from poor Catechesis immediately after Vatican II. But even when chapel veils were common in the 1950s, the neo-scholastic Baltimore Catechist approach inculcated the duty without necessary explaining the reasons. While I have had some contact with Orthodox Jewish communities, my cultural experience with veiling is more colored by Salafists who go to extreme lengths to veil a woman’s beauty, but seeming to misogynostically treat them as second class persons. As I mulled over mantillas at Mass, I was reminded of other things which are veiled in God's House. There is the tabernacle, the chalice, and the ciboria. Brides are veiled at their weddings. Caskets are veiled at a funeral. Hermaneutically, even the Real Presence of Christ is veiled in the appearance of bread and wine in the Eucharist. Veiling can be understood as not hiding things but as representing an aura of sanctity. While veiling is a moot point for me, I discerned that it's fine if women find that as a mantillas as a way to focus their spirituality and if it helps draw them closer to God. That being said, the externality of a chapel veil is no substitute for preparing one’s heart for communion within the sacred liturgy. 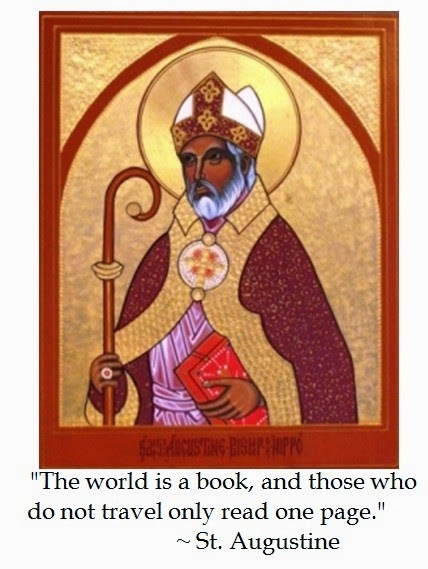 What is the sensus fidei? 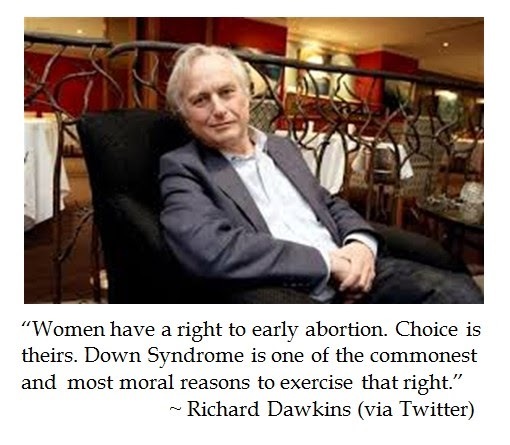 Richard Dawkins, the acclaimed atheist ethologist from Oxford University stirred up a cyclone of controversy on social media with a Twitter posting on the morality of aborting a Down's Syndrome child in-utero. When someone commented that she would not know what she would do if she were pregnant with a child having an extra chromosome, Dawkins doubled down on his "progressive position". Dawkins answering like "Dear Abby (the atheist edition)" wrote: “Abort it and try again. It would be immoral to bring it into the world if you have the choice.” So abortion was not only an option for "The God Delusion" author, Dawkins demands that it is immoral for women to deliver a child afflicted with Down's Syndrome. Reading Dawkins declarations closely, it is quite revealing of his weltanschauung. As an atheist, Dawkins does not draw from any moral compass. 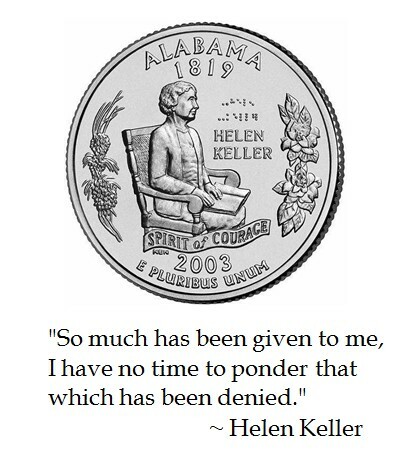 So it is not surprising that he liberally latches unto "an individual woman's right to choose. Later referring to a fetus as "it", Dawkins detaches personhood from an unborn child. Dawkins pontificating that the only moral choice is to kill a defective child ought to please both Social Darwinists (survival of the fittest) and the ironically named humanists (the banner which binds British atheists activists). Two things should trouble the intelligentsia from Dawkins Down's Syndrome declarations. Firstly, Dawkins prefaced the right of women for early abortions, not abortion on demand until childbirth. So it seems at some point personhood is bestowed on an unborn fetus. Or is abortion just less mentally messy when the victim does not look like an unborn child. The other aspect which can be inferred from "Abort it and try again" aspires for a utopian perfection in offspring. Such a callous attitude can easily devolve into getting rid of undesirable elements in society, be it physically deformed, mentally challenged or part of an undesirable group. Sadly, Dawkins Social Darwinism for Down's Syndrome children seems prevalent in the United Kingdom. Currently, 92% of pregnant women diagnosed with Down's Syndrome children aborted their unborn children. Moreover, half of all such cases go unreported. There are concerns that if the National Health System (NHS) expands the super accurate Ariosa Harmony testing, this figure will become nearly total, especially if NHS threatens to withhold special care for Down's Syndrome children. It did not take long for former Governor Sarah Palin (R-AK) to respond to Dawkin's dialectic. Palin famously campaigned for Vice President in 2008 with her young son Trig, who has Down's Syndrome. 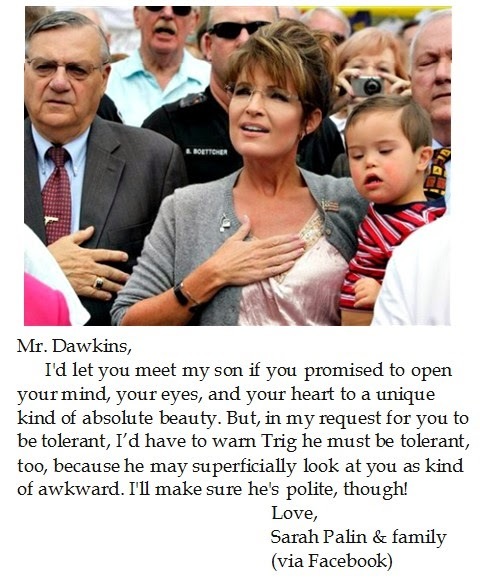 Palin took her seven years of experience being a mother of a Down's Syndrome Child when she reached out to Richard Dawkins via Facebook.
. Palin's folksy riposte to Dawkins displays a positive sense of humanity that the learned professor lacks. In addition, Ms. Palin's Facebook posting alludes to her Down's Syndrome child as having a unique kind of absolute beauty. This echos Governor Palin's peroration when speaking before a Right to Life Conference. Many will dismiss the message as it came from Sarah Palin, who our "intellectual betters" from academia and the media deemed as dumb "Caribou Barbie". Yet Palin's testimony rings true and advocates valuing the individual whereas Dawkin's tweets sound abstract and collectivist. Even though Dawkins may have coined the concept of memes, however Sarah Palin has perfected the social media tactic. Palin dubbed Obamacare IPABs as Death Panels to deftly defending Down's Syndrome children. So as these cultural catalysts clash on social media, perhaps it can bring us to understand how we approach ourselves and society. Our we driven by the selfish gene as Dawkins theorized in genetics or can we inculcate altruism? Palin preaches that mothers should be open to Downs Syndrome children, but is that openness a moral imperative? 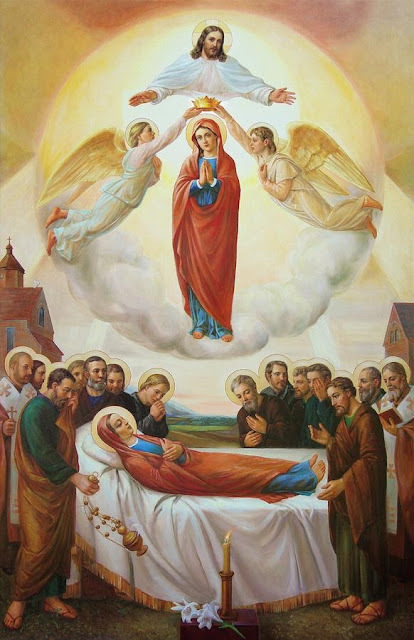 The Solemnity of the Assumption of the Blessed Virgin Mary is the feast when the Church commemorates Mary's assumption of body and soul into heaven. As the young Immaculate Virgin said yes to God's call, her body was the first temple for the Son of God. Catholics believe that Mary's holy body now enjoys full union with her Son in eternal glory. Taylor Marshall wrote an interesting essay "Did the Virgin Mary Die? 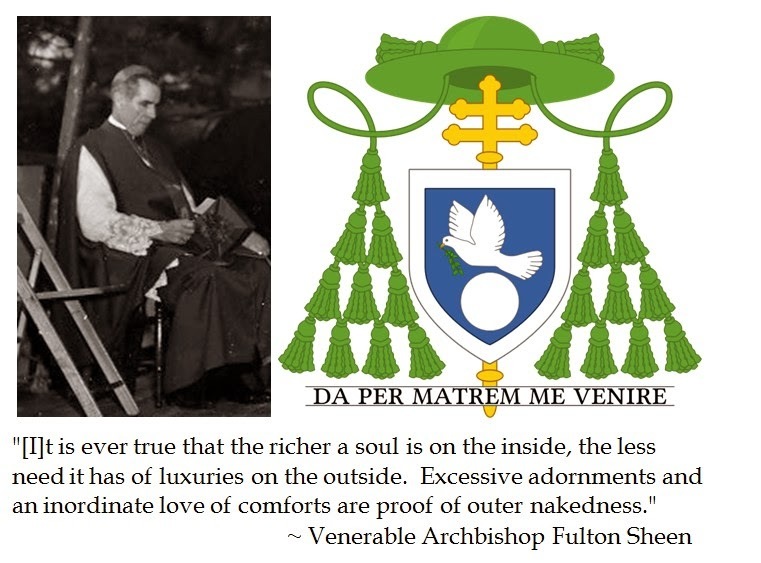 The Answer May Surprise You" which sought to use art, iconography and writings of the Early Church Fathers to clear up any ambiguities from Pope Venerable Pius XII's dogmatic declaration Munificentissimus Deus (1950). Marshall concluded that Mary was laid in the tomb and her death when her soul was detached from her earthly body but that her Assumption from living a sinless life that was totally oriented towards Christ that the Lord allowed for the Assumption of her body into heaven. Moreover, Marshall concluded that sin Mary died without sin that she was given dominion over Purgatory as prophesized in Ecclesiastes 24. Orthodox Christianity also revere the end of Mary's life on earth. In the Eastern Churches, The Dormition of the Theotokis or, to use more contemporary parlance, "the Falling Asleep of the God-bearer" is seen as a transformation of Mary's life into ae heavenly and immortal existence without the shadows of gloom or death. There is a persistent legend among Orthodox Christian believers that all of the disciples, save Thomas who was preaching in India, were present for Mary's dormition and burial. These disciples were said to guard the tomb for three days. On the third day, Thomas saw Mary's body rising to heaven. Mary greeted him as "My friend" as Thomas was escorted by angels to proclaim the assumption. This tradition echos the Church of Jerusalem's sense that Mary's dormition had a deep sense of the resurrection. Marshall's musing that Mary's death involved separation of her soul from her body as well as appreciating the Assumption compliments the Eastern Christian's notions of the Dormition of Mary. 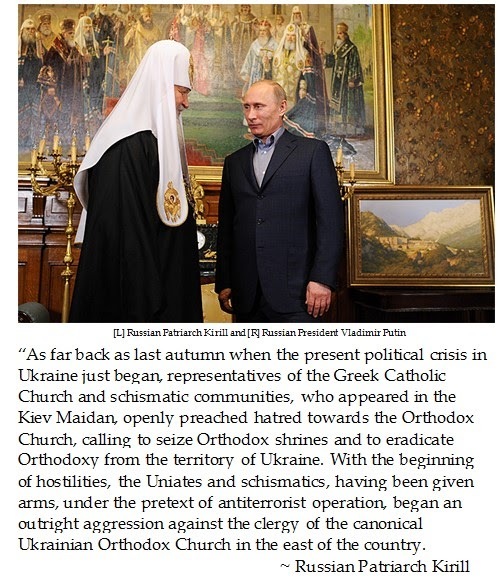 One of the lesser appreciated virtues of Vatican II is for the Roman Catholic Church to appreciate the riches from the Eastern Church. 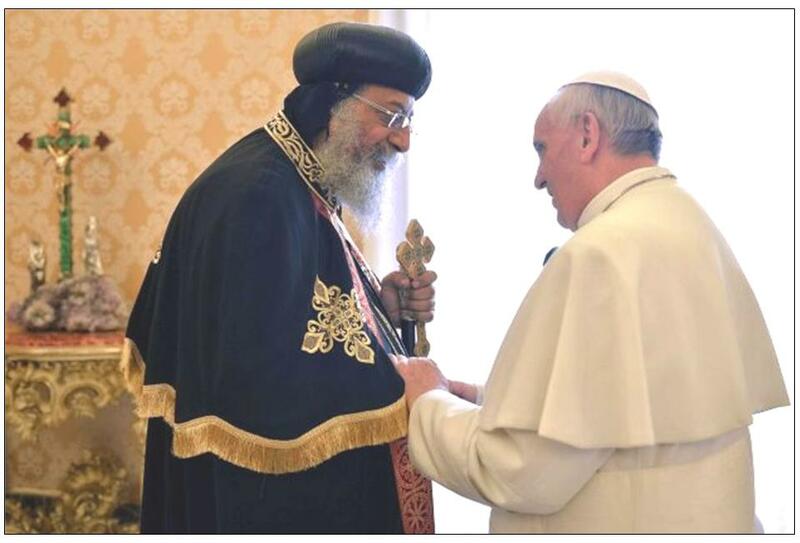 It is worth noting that when Pope Francis (as Cardinal Jorge Bergoglio) was Archbishop of Buenos Aires, he also acted as the Ordinary of the Eastern Rite Catholics in the region. Cardinal Bergoligio was known for trying to close the 1000 year estrangement with the Orthodox Christianity and advocated on behalf of the Orthodox while in dialogue with the Argentine government. In the Orthodox Churches they have kept that pristine liturgy, so beautiful. We have lost a bit the sense of adoration. They keep, they praise God, they adore God, they sing, time doesn’t count. 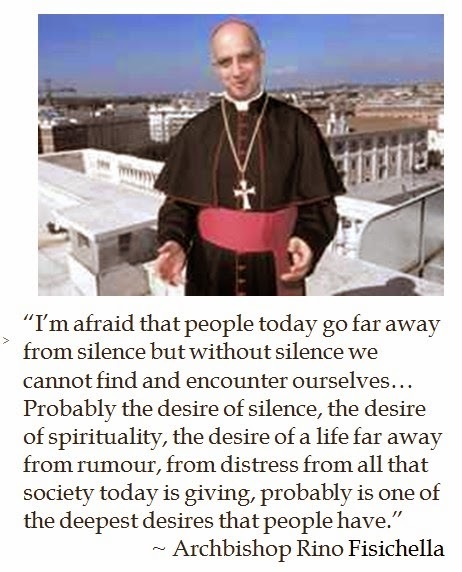 God is the center, and this is a richness that I would like to say on this occasion in which you ask me this question. Once, speaking of the Western Church, of Western Europe, especially the Church that has grown most, they said this phrase to me: “Lux ex oriente, ex occidente luxus.”Consumerism, wellbeing, have done us so much harm. Instead you keep this beauty of God at the center, the reference. When one reads Dostoyevsky – I believe that for us all he must be an author to read and reread, because he has wisdom – one perceives what the Russian spirit is, the Eastern spirit. It’s something that will do us so much good. We are in need of this renewal, of this fresh air of the East, of this light of the East. 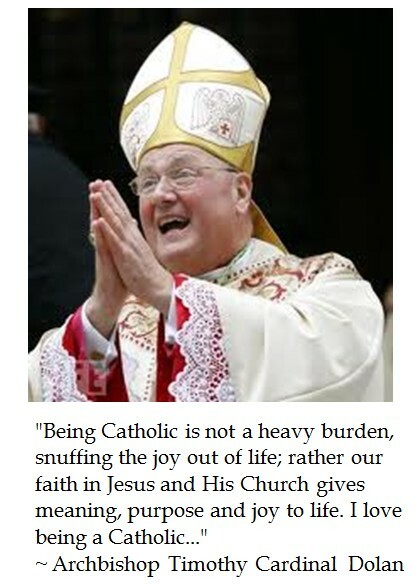 John Paul II wrote it in his Letter. But so many times the luxus of the West makes us lose the horizon. So it would not be surprising if Pope Francis' papacy features more appreciation of the riches of Christian faith from the East. Even though ISIS had been threatening "Nazaranes" (Christians in Iraq) in Mosul with expropriation or extermination unless they renounced their faith, this had not moved the Obama White House into action. A fortnight later, 40,000 Kurds who practice the Yazidi faith were herded onto Mount Sinjar and left to fend for themselves or be slaughtered. Yazidis have a monotheistic faith which has roots in Zoroastrianism with elements of Islam as well as Christianity. Contrary to Archbishop Fisichella's prediction, a recent study by the University of Virginia indicated that a majority of men would rather be physically shocked than to silently contemplate. When Glenn Beck explored this shocking study with Rabbi Irwin Kula, the conversation turned to the importance of silence as through this process one can gain a deeper understanding of one's true self and resist impulses and knee jerky emotions. Contemporary language to describe ethics and evil has grown uncertain and confused. In the public square, those who speak unabashedly of evil are dismissed as simplistic, old–fashioned, and out of tune with the realities of modern life. 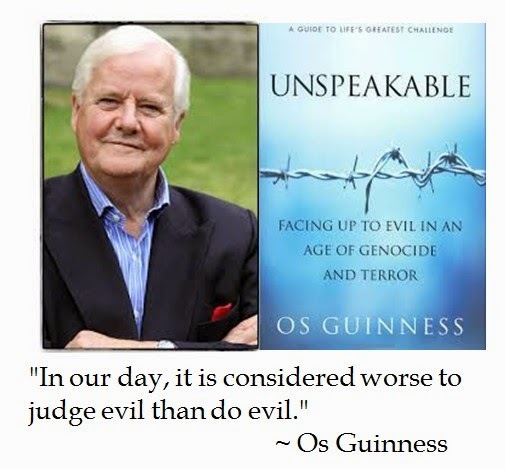 However Os Guinness contends that we must come to terms with our beliefs regarding evil and ultimately join the fight against it. 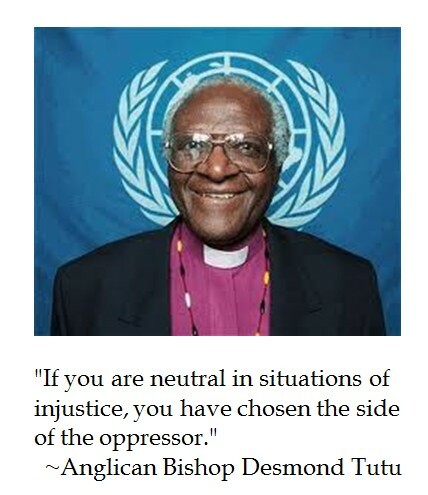 But to do so, we ought to understand three underlying approaches to evil in this world. Guinness' talk for the Veritas Forum delineates the Eastern Approach which Hinduism and Buddhism is based, a Secularist world-view on evil and a Biblical approach as embodied in Judaism and Christianity. 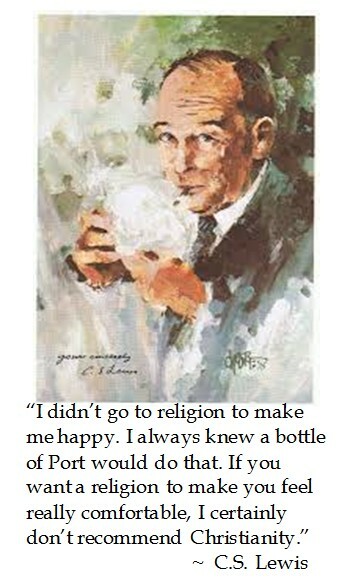 Guinness avuncular lecture elucidated a couple of things which are not ordinarily appreciated. Many know that Buddists believe in reincarnation. But what they aspire for is Nirvana, which seems a lot less appealing per Os Gunniness' translation as "great deathless lake of extinction." One thinks less of Nirvana's grungy collection of hit music and more about Kurt Cobain's suicide. Focusing on the metaphysical side, this "lake of extinction" paradigm tracks Buddhism's answer to Dukkah "suffering" to have freedom from individuality. 1. 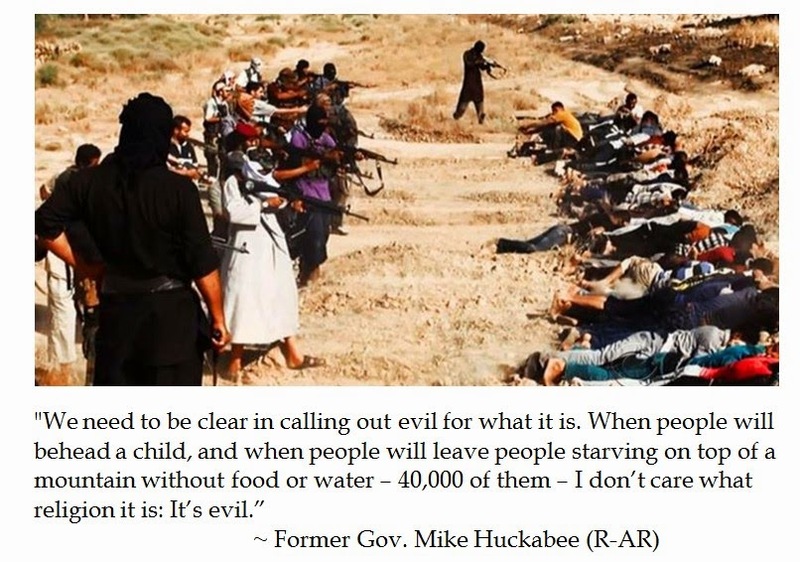 Is evil very evil? 2. Is God all good? A faith filled reflection from a remarkable man who ask nothing from anyone (aside from God) yet managed to care for over 10,000 orphans at the Ashley Down orphanage in Bristol, England. 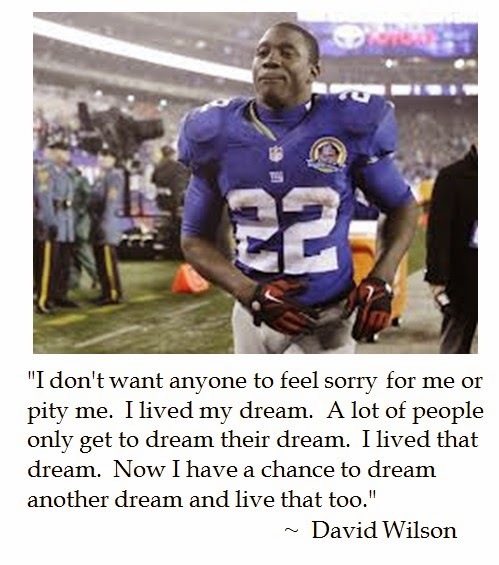 David Wilson is a 23 year old running back who was a first round draft choice by the New York Giants in 2012. Wilson's dream from the age of eight was to play in the NFL. Wilson lived that dream for 21 games over two seasons, but had been plagued with a neck injury . During the first week of the NFL preseason, as Wilson was attempting a comeback from neck surgery, he ran into the back of one of his teammates during scrimmage. Afterwards, his spinal doctor diagnosed Wilson with diffuse cervical stenosis. Since Wilson had a disc removed from his spine after his October 2013 injury, the running back was advised not to play football anymore, as doing so would put himself at risk for serious spinal injuries. After his player received such bad news from the doctors, New York Giants Head Coach Tom Coughlin was surprised that Wilson still had a smile on his face, but Wilson refused to be pulled down into a state of melancholy. Coughlin marveled that: "There’s a lot to be said about his inner strength right now." David Wilson's poise of facing such devastating vocational news with good cheer and hope is admirable. 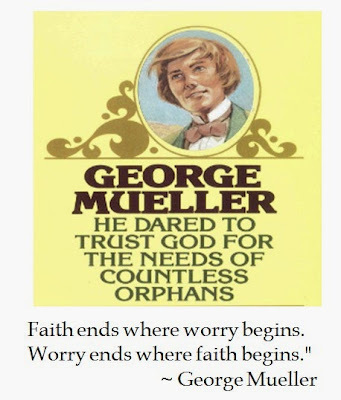 Wilson's faith puts his trust in God, which is a lesson worth remembering and emulating. Robert Spencer of Jihad Watch noted that it is unusual for Christians in the Middle East to detail the indigities of dhimmitude living under aspects of sharia law. 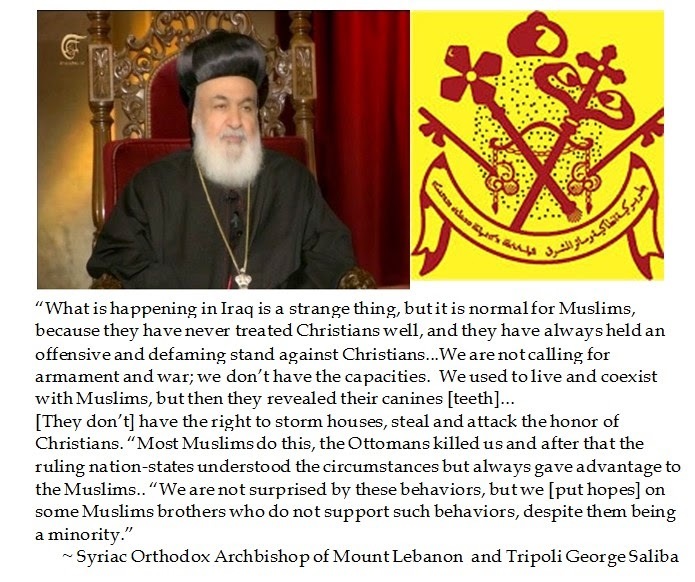 However, considering ISIS application of forced conversions, expropriation along with extermination of ancient Christian communities in Mosul (previously known as Ninevah), the Syriac Orthodox Archbishop Saliba may have calculated that there was little to lose by speaking out and exposing cruel practices by jihadists from the so-called Religion of Peace.